Gillette's newest advertisement isn't about shaving, or beards or personal hygiene -- instead it focuses on men in the age of the #metoo movement. Gillette's newest advertisement isn't about shaving, or beards or personal hygiene. The company's "We Believe" ad -- a one minute and 48 second spot posted to its social media accounts this week -- addresses serious issues like toxic masculinity, sexual harassment and #metoo. "We expected debate. Actually a discussion is necessary. If we don't discuss and don't talk about it, I don't think real change will happen," Pankaj Bhalla, Gillette's North America brand director, told CNN Business. The company has won accolades for advertisements such as its Always "Like a Girl" campaign and Pantene's "Strong is Beautiful" campaign that shows NFL players braiding their daughter's hair. 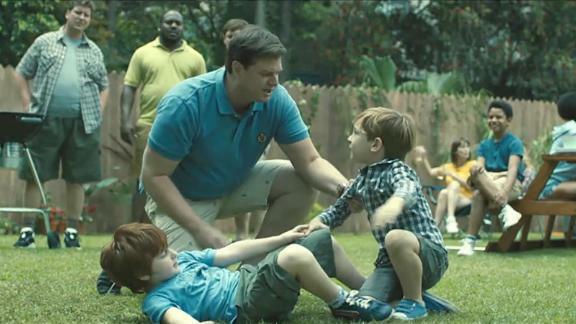 The Gillette "We Believe" includes a voice narrating over scenes of bullies, sexual harassment and masculinity. "We can't hide from it. Its been going on far too long. We cant laugh it off, making the same old excuses." Then, in a direct reference to the #metoo movement, it says "Something has finally changed." It closes with scenes of men breaking up fights, standing up for people, and being attentive fathers. Gillette's team consulted men across the country, conducted its own studies, and spoke to experts on masculinity, according to the company. On YouTube and Twitter, the replies were flooded by people angry about the ad. Some men have said it was insulting, other said it was "feminist propaganda." "The ad is not about toxic masculinity. It is about men taking more action every day to set the best example for the next generation," said Bhalla. "This was intended to simply say that the enemy for all of us is inaction."